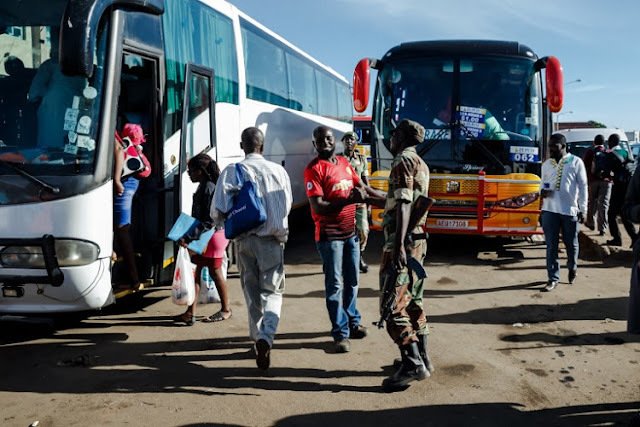 Harare - The recent sojourn by President Emmerson Mnangagwa to Eastern Europe is yielding some results, with reports that Belraus will provide 500 buses for the ailing public transport network. Some sections had dismissed the trip as an expense jaunt for an ailing economy, after the president hired a private plane to facilitate his journey. The luxury jet charges a reported US$70 000 an hour. During the deliberations, Belarusian President Alexander Lukashenko offered Zimbabwe a facility for 500 buses, though finer details are yet to explained. “Belarus has offered to help develop Zimbabwe as a regional transport hub using its own experiences. Belarus also offered to provide Zimbabwe with an initial 500 buses with the possibility of increasing the number in future. “The TSP talks about modernising public transport and this is part of that. We know our people are suffering a lot and Government interventions have given a relief to our people in the urban areas. “But there is still a lot more work to be done to make sure we give that kind of relief to people in rural areas and inter-city,” Information minister, Monica Mutsvangwa told the media. An estimated one million commuters use the urban transport system countrywide. The network was in decay, following the collapse of the main public transport provider, ZUPCO, while private players were taking advantage of prices increase to charge exorbitant fares. Sensing the impending crisis, after a mass demonstration, the state moved in to allocate conventional buses to cushion commuters from uncouth transporters, who were charging exorbitant fares, while salaries remained stagnant. Finance minister Professor Mthuli Ncube said the Government was looking at the latest offer. “It is really an offer from Belarus that we have to evaluate and see how we can obviously take,” he said. A joint venture company will in the coming weeks be registered to advance the ambitious project. It remains to be seen what the country will offer as repayment for the proposed projects.